There are so many great sales going on this weekend, not only for clearance winter clothing items, but for some home decor as well! I love this time of year when stores are clearancing out some really nice things! I mean, I got my daughter’s coat for next year for $28 (regular $148). I always love buying ahead for next year at this time! Some of the best weekend sales I’ve seen! And I’ll add to this over the weekend if I see anything else worth noting, so check back again on Sunday night and Monday morning! Bed Bath & Beyond – Up to 50% off select items! Get a free $20 gift card with every $100 Wamsutta or Therapedic purchase through Jan. 27. The sale includes various sheets, towels and bedding sets. Hayneedle – Offering up to 35% off TV Room essentials. Get ready for the big game! J. Crew – additional 70% off select sale styles and 25% off full priced items. Use code GOFORIT. I got this adorable pink, green & navy tartan scarf for under $20 ($59.50). It’s so cute! Overstock – Get savings in various categories through Jan. 24, including up to 30% off sale area rugs, up to 20% off dining room chairs and bar stools, and up to 40% off select chandeliers and pendant lighting. Pottery Barn – Up to 40% off dining chairs and barstools, up to 40% off bedding (we looove their bedding! ), 30% off coffee tables, and 20% off upholstery. 20% off furniture and 25% off everything else + FREE shipping with code REFRESH. Get this nearly 7 foot tall gorgeous faux fiddle leaf fig for less than $175 – shipped! World Market – use code ONLINE10 to get an additional 10% off and free shipping over $150. I snagged this awesome office chair for my desk in my office a week ago and I LOVE it! 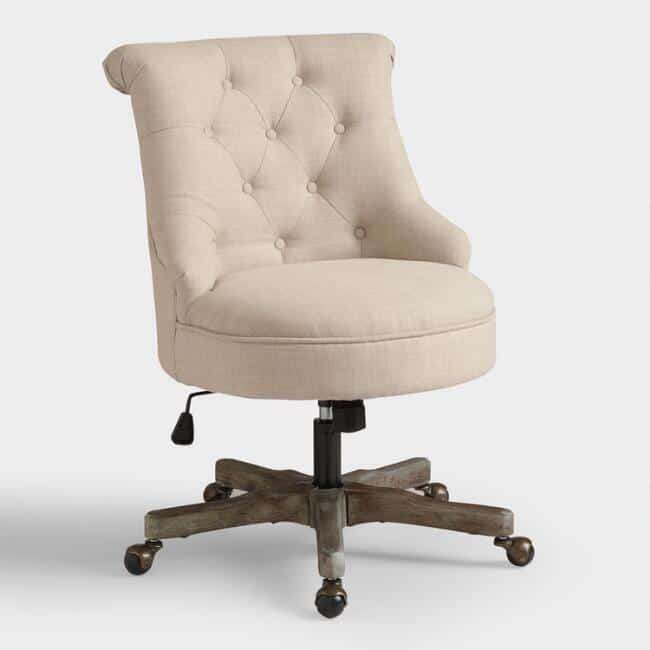 It’s comfortable, adjustable and looks so good in my office! It’s already on sale, too!